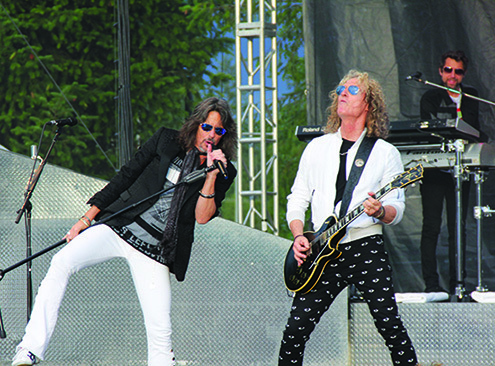 On the evening of Friday, July 8, legendary rock band Foreigner brought their formidable musical arsenal and enduring rock & roll anthems to the sold-out Tulalip Amphitheatre. With an energetic full capacity crowd on hand, Tulalip Resort Casino’s annual Summer Series continued to live up to its hype of mixing top tier musicians and a stellar atmosphere. Star Nayea opened the show. 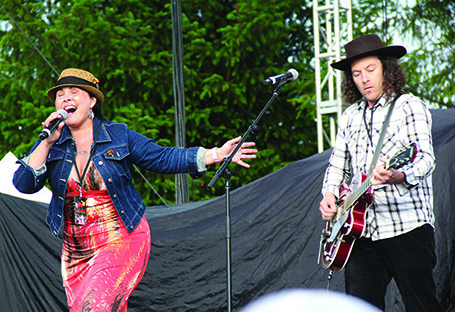 The opening act on this night was well-known Native American recording artist and GRAMMY winner Star Nayea. A self-described truth teller through music, Star used her soulful and powerful voice to perform several of her moving songs that are in her own blues/pop/rock mold that is unmistakable her own. After her set, the crowd was visibly anxious for the main act, one of the most popular rock acts in the world, Foreigner. The Foreigner lineup that took the stage at the Tulalip Amphitheatre didn’t contain any original members from when the group took the rock & roll world by storm in the ‘70s and ‘80s. However, the current members did have the classic rock group’s catalog of hit songs and an electric energy that was enough to keep the sold-out crowd on its feet, while dancing and singing along with the band for the entire hour and thirty minute set. Kelly Hansen, the lead singer and rock vocalist, is an energetic front man, strutting and posing on stage from the jump, as the band opened their set with “Double Vision” and “Head Games”. 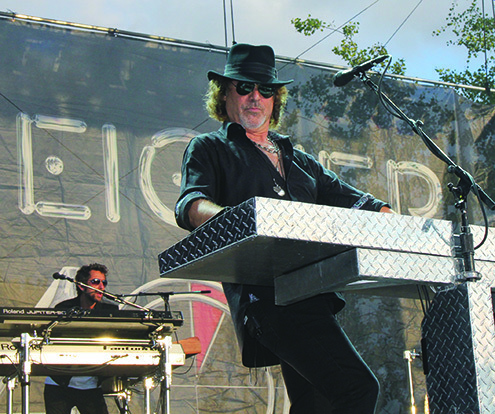 Taking it up a notch, Hansen literally took his energy to his fans when he hopped off stage and ran around the floor of the Amphitheatre high-fiving his beloved fans while performing “Cold as Ice”. The band put their signature stamp on an acoustic “Say You Will,” with Tom Gimbel setting aside his guitar for a flute intro. Gimbel later took center stage to bring sax appeal to “Urgent,” adding a prolonged solo, a highlight of the evening. The crowd was blown away while witnessing a genuine classic rock & roll band making their legendary music with real deal instruments and bonafide talent, no gimmicks or vocal synthesizers like what’s commonly found in the music industry today. 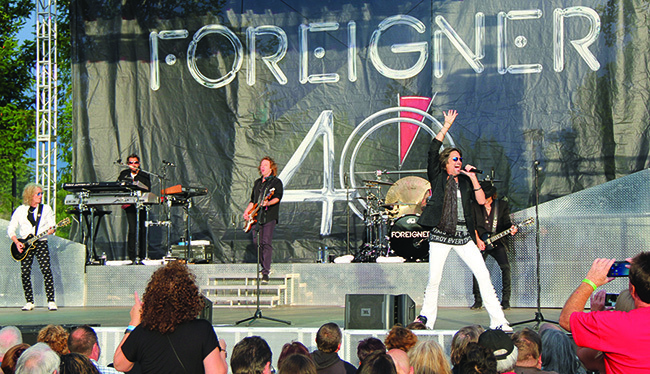 Everything that goes into the Foreigner experience is authentic rock & roll, the way it was meant to be. For the duration of the evening, the band provided their patented arena rock flair to the intimate venue that is the Tulalip Amphitheatre. Classic hit after classic hit was performed until the energy reached its pinnacle with a full-on jam session version of “Jukebox Hero”. The encore included “I Want to Know What Love Is,” which featured the Voices Northwest choir (out of Everett) providing backup vocals. Foreigner donated $500 to the choir for appearing with the band and while the choir also sold Foreigner CDs at the concert to raise monies for Foreigner’s charity partner, The Grammy Foundation. Both Foreigner and The Grammy Foundation are intent upon helping to keep music education available to students as part of the core curriculum in high schools throughout North America. The night-ended with a rousing performance of “Hot Blooded” that had everyone jumping, singing, and rocking all the way out. 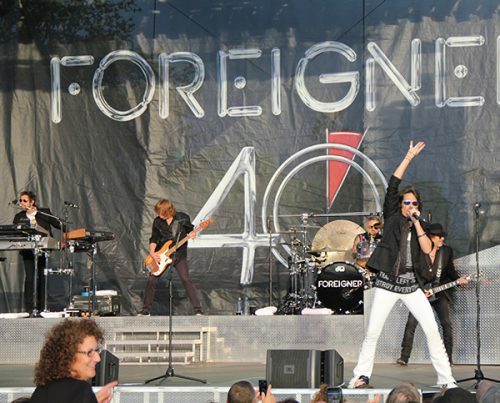 Forty years of excellent music artistry and a catalogue of hits that is unrivaled is what Foreigner brought to the live Tulalip Amphitheatre concert. This entry was posted in Arts & Entertainment, Local News, Tulalip News and tagged Tulalip Amphitheater by Kim Kalliber. Bookmark the permalink.